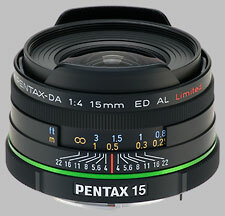 Pentax announced the 15mm ƒ/4 during PMA 2009. The lens is part of Pentax's "DA Limited" series of lenses, touting excellent results for sharpness in an ultra-compact package. The current lineup of Pentax cameras sport an APS-C sized sensor, with a 1.5x crop factor, meaning the lens provides an effective field of view of 23mm in 35mm film terms. The lens uses a built-in, petal-shaped lens hood, takes 49mm filters and is available now for approximately $650. True to the marketing materials, the Pentax 15mm ƒ/4 provides very sharp images, although we did find at least one lens we've previously tested that beats it. 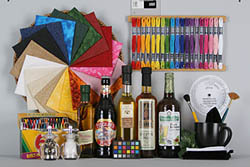 Used wide open at ƒ/4, images are a bit soft in the corners and slightly uneven, at between 2 and 3 blur units; the central third of the frame is sharper, at around 1.5 blur units. While the image frame isn't consistently sharp, the variances aren't extreme. When the lens is stopped down to ƒ/5.6, any unevenness is smoothed out and image sharpness improves to between 1.5 and 2 blur units across the frame. The lens finds its optimal setting at ƒ/8, where we note results of just under 1.5 blur units from corner to corner. Diffraction limiting appears to set in at ƒ/11, with a slight increase in corner softness that doesn't exceed 2 blur units. Stopping down further to ƒ/16 just brings the center in line with the corners, at just under 2 blur units, and ƒ/22 sees overall image quality at just over 2 blur units. In summary, excellent performance for this lens, especially when stopped down to ƒ/8, where I expect this lens may see a lot of time in a landscape setting. Chromatic Aberration is well-controlled, at 6/100ths of a percent of frame height in the corners and just 3/100ths of a percent on average. Happily, this performance doesn't really change between aperture settings. There is a slight amount of light falloff when the lens is set to an aperture of ƒ/4 or ƒ/5.6. At ƒ/4, the corners are 3/4 EV darker than the center; at ƒ/5.6, the corners are just under a half-stop darker. By ƒ/8 and smaller, light falloff is steady at just a quarter-stop. It's unlikely to see such a wide-angle lens without any form of distortion, and to Pentax's credit they've controlled it well, with just +0.3% barrel distortion registering in the corners, and less of that throughout the image. The constant distortion is easily correctable in post-processing software, if such is desired by the photographer. The Pentax 15mm ƒ/4 focuses very quickly; it's not a SDM lens, but with a short throw range it achieves a full infinity - close focus - infinity focus in less than a second. It isn't silent, but only makes a slight whirring sound as it focuses. The lens uses Pentax's quick-shift system, enabling the user to override autofocus results by just turning the focus ring. The lens isn't a great performer for macro work, with a magnification rating of just 0.15x. However, the minimum close-focus distance is quite short, at just 18cm (just over 7 inches). The 15mm ƒ/4 is heavier than expected, showing a fair amount of metal construction. The mount is metal, and the 49mm filter threads are plastic. The lens barrel is a black matte finish. The lens has no switches of any kind; a manual focus override is conducted on the camera, though autofocus results can be overridden at any time. A distance scale is shown in feet in meters, and a depth-of-field scale shows information for every aperture. This level of detail on a depth-of-field scale is comparatively rare, and practically quite useful. The focus ring is mounted nearer the front of the lens with a hard metal texture: a thin ribbed pattern that is easy to grip, just 3/16'' wide. Manual focusing is excellent, with a very smooth and slight resistance. There are about 75 degrees of turning action. 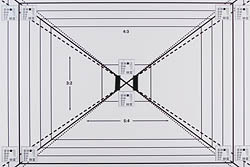 The front element doesn't rotate during autofocus operation; there is a slight amount of lens extension, about 1/8 of an inch. There are hard stops at either end of the focusing spectrum. The lens hood for this lens is built-in, pulling forward when required by the user. The interior of the hood is lined with a black flocking to reduce any stray light; when extended, the hood adds 7/8 of an inch to the overall length of the lens. In the hand, we found this a very appealing little lens to shoot with, very compact and quick on the draw. A great lens for street photography or landscape work. The obvious alternative for Pentax users is the faster, slightly wider, and comparably-priced 14mm ƒ/2.8. We haven't yet tested this lens, but it's listed in the regular DA category of lenses so we could assume that the optical quality may not be at the same level as the 15mm ƒ/4 DA Limited. Sigma 14mm ƒ/2.8 EX Aspherical HSM ~$? This lens was made with a Pentax K-mount fitting, but unfortunately it was discontinued by Sigma. We haven't tested this lens, but it offers both a wider maximum aperture than the Pentax ƒ/4 as well as a 1mm wider focal length. When new, it had a list price of $849. If a prime lens isn't your thing, Pentax offers a zoom lens which covers 15mm. It's around the same price level but is double the weight and size, and takes 77mm filters. We haven't yet tested this lens. Sigma also produces a zoom which covers the 15mm range, and while it's about as sharp as the Pentax 15mm ƒ/4, it's worth noting that with its variable aperture the Sigma sports a maximum aperture of at least ƒ/5 by 15mm. As well at 15mm, chromatic aberration is very well controlled by the Sigma, and there is a small order of light falloff; distortion is a little more complicated. This is probably the strongest alternative. It was one of the first lenses we tested on SLRgear, and, while we haven't tested the updated version yet, the original holds up very well, even against a prime. In fact, the Tokina 12-24 handily beats the Pentax 15mm ƒ/4 on sharpness at f/5.6, and even does so slightly wide open as well. It also beats the Pentax 15mm ƒ/4 on shading (vignetting), but falls behind slightly with chromatic aberration and distortion. Overall, the Tokina 12-24mm ƒ/4 AT-X 124 AF PRO DX gives the Pentax 15mm prime a good run for the money. We've been consistently surprised and delighted with Pentax's lineup of DA Limited lenses, and with this one Pentax appears to have another winner on its hands: It's a very appealing little lens to work with. If absolute sharpness is crucial and you don't mind trading away quite a bit of bulk to get it, though, the Tokina 12-24mm ƒ/4 AT-X 124 AF PRO DX (or the new, more expensive II version) may be a stronger choice. Note: Sample photos will be posted the week of May 4, 2009, once Andrew returns from his current travels. This is a little gem of a lens, very pocketable with very good IQ and low distortion compared to other lenses in this FL range. While a bit soft wide open, it sharpens up nicely at f5.6 and above. I question your recommendation of the Tokina 12-24 f4 as an alternative, as it is not available in the Pentax K mount. However, I believe that the Tokina shares its optical design with the Pentax 12-24 f4, so the Pentax would deliver similar performance. This a *compact* lens, hence the mitigated sharpness results until you close to f8. Apart from that, I can't find anything bad to say about this lens. It shares with its "Limited" colleagues a really good colours rendition, and its build qualities. And, from f8, the image quality. The DA 15mm Limited delivers all you can await from a such compact lens. That said, this is a very nice lens that only really suffers from two issues: first of all, it's max aperture is fairly mediocre. That can be expected, however, as otherwise it wouldn't be as compact. But it means that this will not be your first choice for low light situations. Another issue, related to this, is that the lens isn't super sharp until about f/8. Not much of a problem for me as I mostly use it for landscapes, but the combination of the max aperture and the sharpness wide open also means that any attempt at subject isolation will be a bit compromised. The build quality, of course, is head and shoulders above any other lens by a volume manufacturer today. Brilliant stuff, and Pentax should be commended for bringing out lenses like this in today's mass production climate.